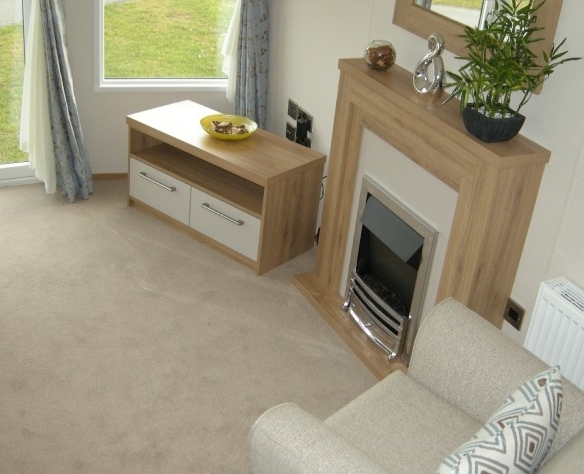 The 2017 ABI Clarendon Holiday Home feels more like a chic contemporary apartment. The warm and welcoming lounge area is generous in space featuring an "L" shaped seating, armchair and a large bay with patio doors. 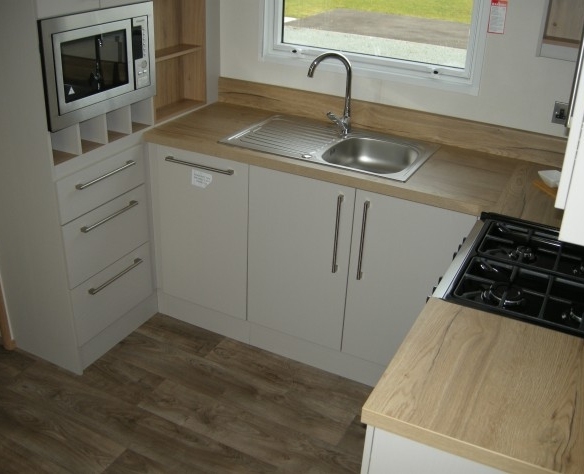 Rich wood effect furniture and elegant fabrics flow throughout - seamlessly linking the well-proportioned living space with its compact but beautifully-finished kitchen. The kitchen/ diner hosts an integrated oven/hob, hob extraction, under counter fridge/ freezer, integrated microwave, slim line dishwasher and dining area with table and 4 upholstered chairs. 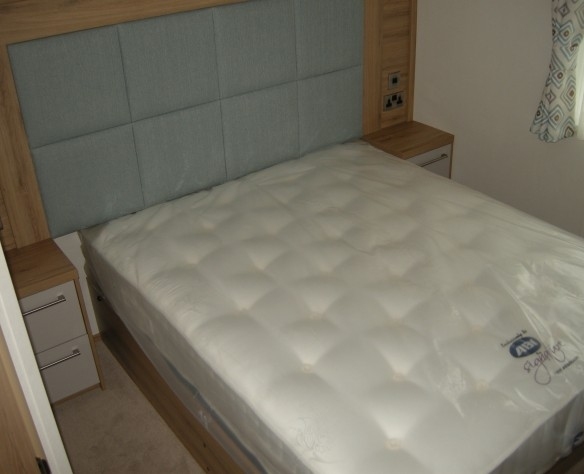 There is a lift up king-side bed in the main bedroom for underneath storage and single beds in the twin rooms. 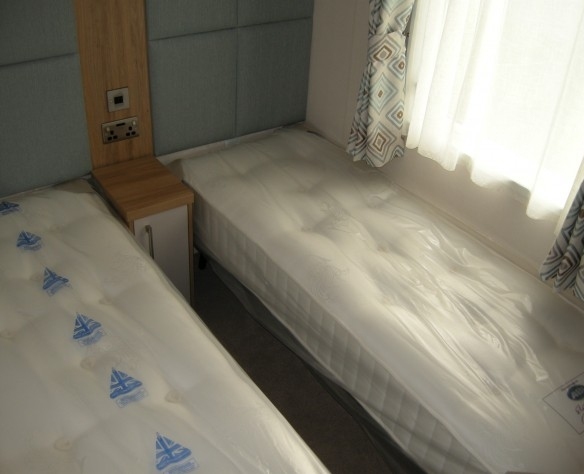 Good quality bed sets comes as standard and there is plenty of storage. 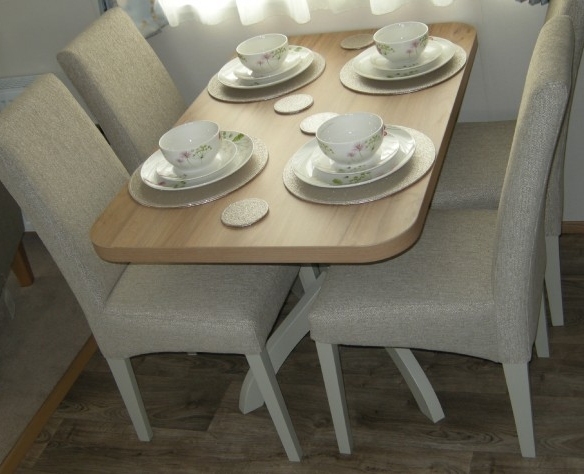 Clutter is the last thing you want in a holiday home as stylish as the Clarendon, so ABI have made sure there's a space for everything. So your perfect getaway stays that way. 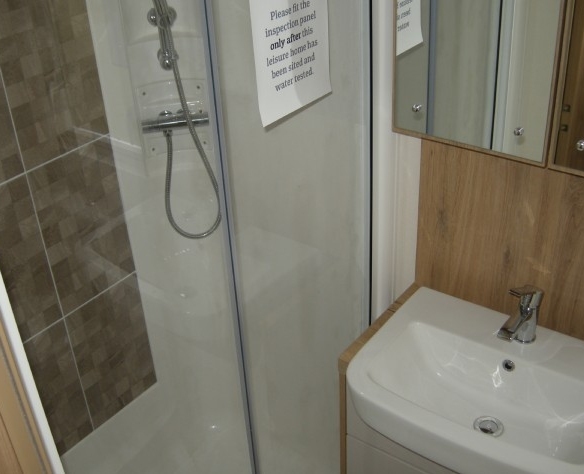 The holiday home also features an ensuite leading off the main bedroom with a shower and WC. There is also a family bathroom. 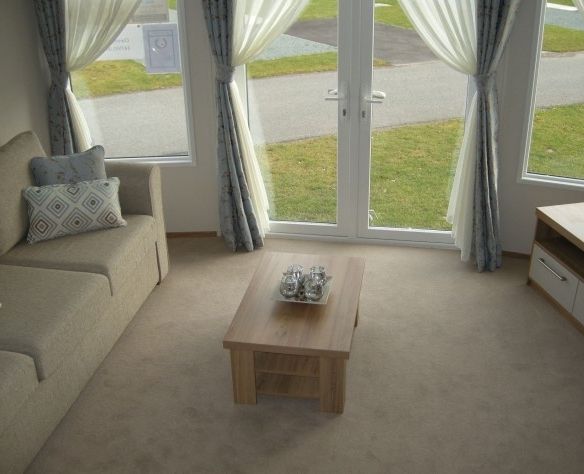 The ABI Clarendon is a high quality holiday home filled with quality touches throughout, including: carpet underlay, soft close hinges on cupboards and drawers, stylish light fittings, USB sockets in the master and twin bedrooms, large "L" shaped corner sofa in the lounge with oak coffee table, TV cabinet, mirror and feature fire place plus a deluxe Bluetooth sound system with DAB radio. 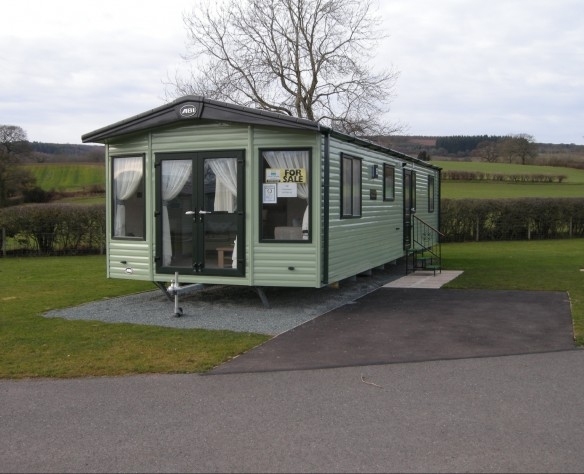 So, whether you are a couple looking for a little extra luxury or a family who need more space yet don't want to compromise on style, the ABI Clarendon is for you - exceptional storage, beautiful furnishings and quality finishing touches make this a truly fantastic holiday home.